I am very happy to invite you to be again with us, taking part in the most global meeting on ADHD where you can share and exchange experiences and knowledge on the best strategies of diagnosing and taking care for individuals affected by ADHD. 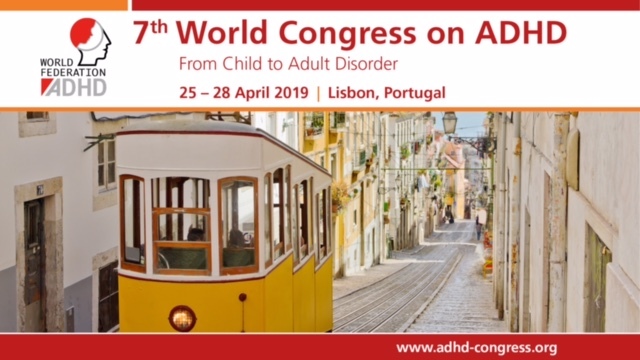 Our 7th World Congress on ADHD will take place from 25 to 28 April 2019 in Lisbon, Portugal. As in keeping with tradition of the World Federation on ADHD, the Scientific Programme Committee and the Local Organizing Committee will work hard to develop a wide range of topics that will appeal to clinicians, researchers and academics stimulating the exchange of information. We look forward to welcoming you to Lisbon in 2019.